Following on the previous post on Hugh Stowell Brown we can add this image featuring his carte de visite. These were enormously popular aspects of life for the middle classes in the 1860s and represented an extension of portrait photography used more for collecting as keepsakes rather than as part of the niceties of Victorian social encounters as the name might indicate. They were seldom named and were probably kept more by families and, in the case of celebrities, by fans who liked to amass collections. This was probably as true for clergy as for other minor celebrities and one suspects that many members of Myrtle Street Chapel will have been quite proud of the cdv of their minister that they were able to stick into their album or lean on the mantelpiece. This is quite a characterful study of the Rev Hugh Stowell Brown. It shows what a good job was done by the creator of the statue that was set outside his chapel some years later. He could almost be wearing the same coat. 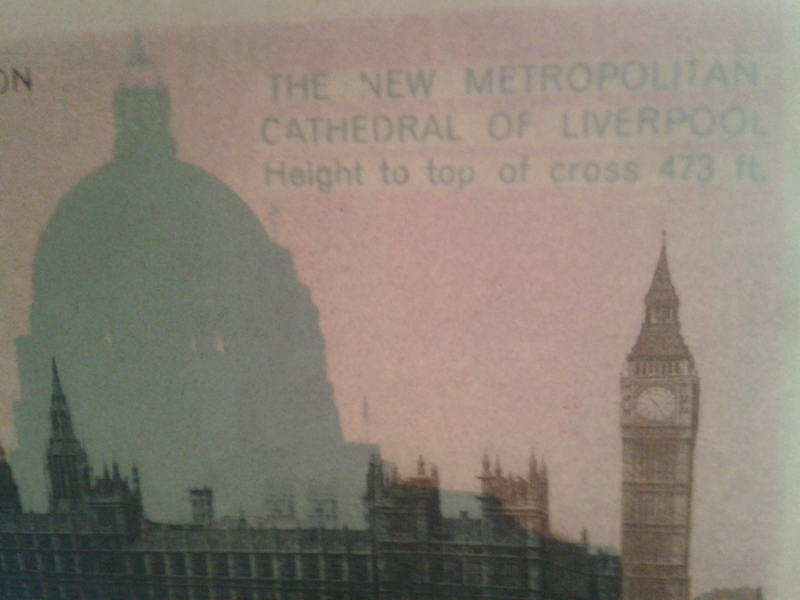 The card was produced by E. Swift & Son of 126 Bold Street, Liverpool and is quite a minimalist picture. Almost certainly this will have reflected Mr Brown’s own taste. Most of E. Swift & Son’s cartes feature other objects dragged in to add variety to the picture. Sometimes the curtain was removed to reveal a trompe l’oeil painting of a window and some plants. It’s probably better covered up to honest. He also eschewed the selection of decorated urns and Corinthian pillars that many liked to lean on for their photo shoots in Swifts and also didn’t need the Abbotsford chairs that were wheeled out from time to time. Perhaps wisest of all he didn’t use the cut-out ballustrade that sometimes appears behind the subject. Only the distinctive and perhaps slightly gaudy carpet detracts from the sober no-nonsense image. So Hugh Stowell Brown created a carte de visite that managed to express quite a lot about who he was. He looks every inch the respectable and respected Baptist pastor, without adornment, and with integrity and a seriousness of purpose that could not be doubted. It is nice to see the statue of the Rev Hugh Stowell Brown beautifully restored and re-erected on Hope Street, just around the corner from the location of his old church where he stood for many years. It is a slightly less edifying view for him now, gazing as he does at the main entrance of the Philharmonic pub, he formerly looked across the road towards the Philharmonic Hall itself. But for many years he stood at the end of Princes Avenue, caught in mid-sermon, notes in hand, looking into the entrance of Princes Park. Hugh Stowell Brown was one of the giants of the pulpit in nineteenth-century Liverpool, minister of Myrtle Street Baptist Chapel from 1847 up to his death in 1886. Politically engaged (with a radical streak – he was president of the Liverpool Peace Society, established a savings bank for the poor and attempted to break down class barriers in his preaching) he was recognised on a national stage by his denomination and by wider society. He was a great success in Myrtle Street, causing the chapel to be enlarged and on his death what must be the only statue of a nonconformist minister in the city was erected in front of his church and paid for by public subscription. It is impossible to view social life without reference to Churches and Chapels especially those Nonconformist ones where there is deliberate effort to occupy the attendants so as to make them intimately acquainted. For a vast number of respectable, intelligent, fairly prosperous families the chapel is the only social centre; its meetings the only approach to amusement, its friendships the chief road to desirable marriage, and often the chief source of prosperity in business. A steady young man commencing life in Liverpool, without capital or good friends, cannot do better for his own business future than by joining and becoming active, useful and respected in a large dissenting congregation. Whoever knows intimately the ways by which such have again and again secured public positions, or obtained capital when a good opening presented itself, or found a generous supporter in a sudden emergency – whoever has enquired what brought excellent maidens and excellent youths into happy wedlock, while thousands of others loudly complain that no choice of acquaintance is open to them, will confirm this. Scores of instances will at once occur to attendants at Great George Street Independent, or Myrtle Street Baptist, or Sefton Park Presbyterian, or Grove Street Wesleyan Chapel; though the matter is much too private for names to be mentioned here. This paragraph is actually a prelude to a longer discourse on “the most influential sectional meeting place in Liverpool” which he declared to be Renshaw Street Unitarian Chapel. But the whole chapter is indicative of the importance of nonconformist chapels in the life of the city in the late nineteenth century. It is hard to imagine today Baptist, Congregational, Presbyterian or Unitarian churches being either so large or so influential. But some of them, often under the leadership of charismatic and very high profile ministers, were places of some significance in a city which was then at the high point of its own economic success. Those who never saw them have reason to be thankful that they have been spared the sight of one form of ugliness which it would be hard to equal. Those chandeliers were like nothing else in the heavens above, or in the earth beneath, or in the waters under the earth. I do not know to whose singular genius the chapel was indebted for them. How shall I describe them? Nay, they are indescribable. Had one of them been hung outside the chapel I don’t believe that any horse in Liverpool could have been persuaded to approach within a hundred yards of it. I will only say that one of them, the central one, weighed, I believe, a couple of tons. It was made fast to a windlass in the garret, and people who were rather nervous, and had a regard for their safety, very properly declined to sit beneath it, for had the chain snapped, it would have crushed through people, pews and floor, not stopping until it had buried its victims in earth. Another of these monsters not quite so heavy was hung right over the pulpit, and although I am not a particularly nervous man, I preached for years with the unpleasant thought that my life hung by a rapidly-rusting chain, and that one day I might be jammed into a mince-pie in the pulpit, in the very sight of a terrified and mourning congregation. But despite this he received a call and under his ministry the chapel was extended and renewed on several occasions. Not only that it was involved in establishing nine new causes around Merseyside including Princes Gate Baptist Chapel in 1881 which no doubt was the reason for the relocation of his statue near that building in 1954, some years after the closure of Myrtle Street. Princes Gate exterior. The statue stood just opposite in the centre of the boulevard. It was a tremendous privilege and pleasure to take part in the induction and ordination of the Rev Philip Waldron as minister of Ullet Road Church, Southport and Wirral Unitarians as part of the Merseyside Partnership at Ullet Road on Saturday, 9th January. It was an impressive service that drew on the traditions and ethos of Unitarianism on Merseyside and which resonated effectively with the august building that is Ullet Road Church. It is testimony to the high regard in which Phil is held by his colleagues that so many ministers took part and that so many people were present. The music supplied by the organ and the singing by the choir Liverpool Voices were also of a very high standard and added greatly to the service. Ullet Road is certainly one of the most remarkable sets of buildings within the Unitarian tradition in England and ranks highly amongst all branches of dissent. 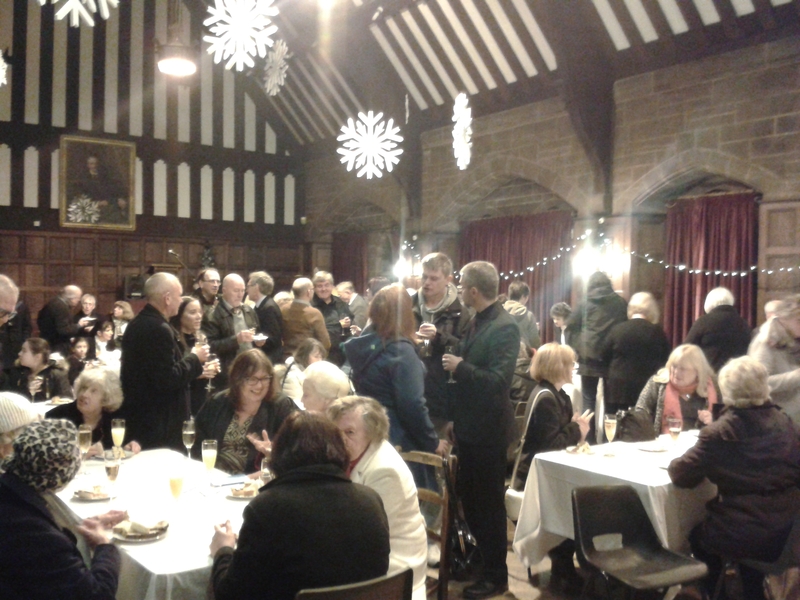 The hall, designed by Percy Worthington and built slightly later than the Church at the start of the twentieth century, is a delight in itself. 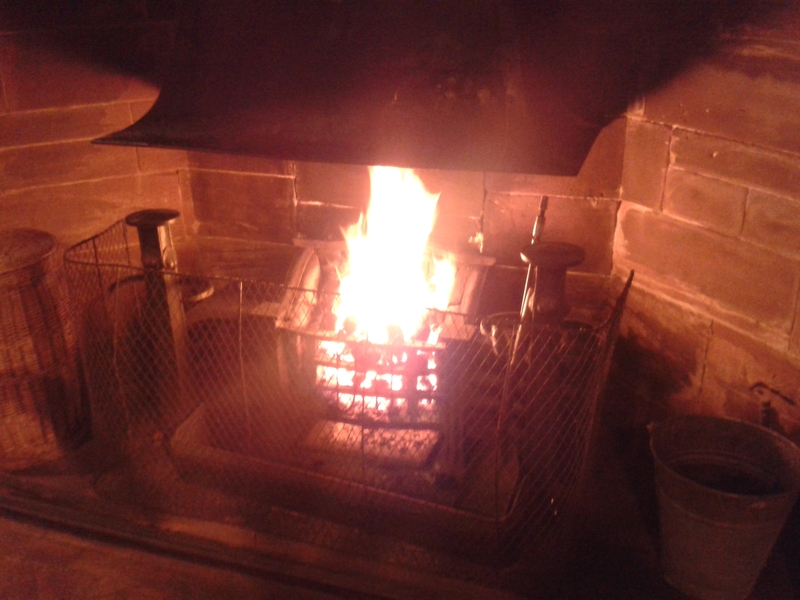 On occasions such as this (with appropriate winter decorations left over from a wedding) it really comes into its own with the feel of something like a medieval hall, not least because of the open fire that provides such a focus. The congregation are much blessed to possess such a building that reflects this quest so effectively and Merseyside District can look with satisfaction upon such an auspicious start to a new ministry. In his excellent short article on Jeremiah Horrocks in the book Liverpool Unitarians Faith and Action Bernard Cliffe is very cautious about making too many definite assertions about his life. As Bernard puts it “an account of the life of the boy and the young man has to be a matter of conjecture, with the generous use of qualifying words.” The truth is we have very few hard facts about the life of this pioneer astronomer who died at the young age of 22. Inevitably though this hasn’t stopped others from drawing all sorts of conclusions about his life. One of the things we do know for sure was the extent of his achievement as a youthful astronomer – indeed there are some parallels here with the life of Clyde Tombaugh who first identified Pluto in his 20s. Clyde Tombaugh now has a feature on Pluto’s surface named after him while Jeremiah Horrocks himself has been memorialized in a number of places since his initial observation of the transit of Venus across the Sun. Horrocks’s discoveries were only published posthumously and, gradually, in the centuries after that, places – and churches – were keen to claim him as one of their own. But his scientific importance is pretty well established. 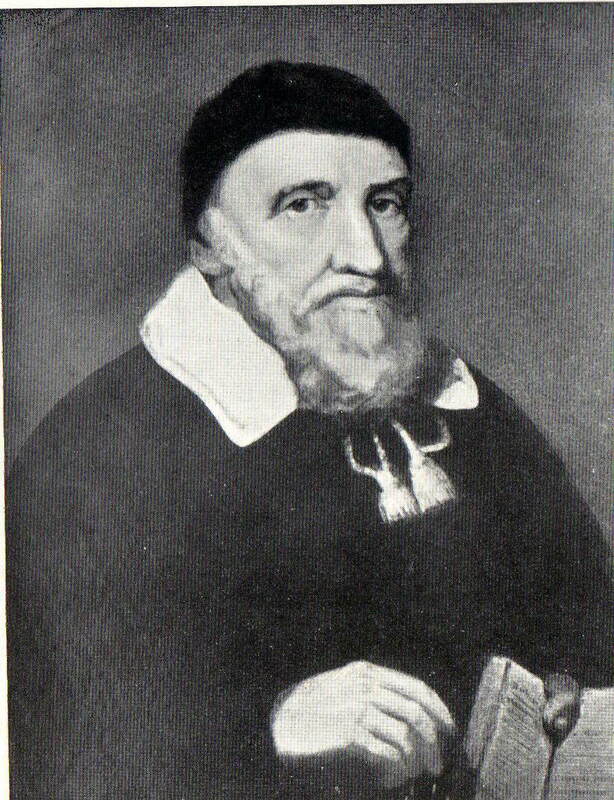 Allan Chapman (in ‘Jeremiah Horrocks, the transit of Venus and the ‘New Astronomy’ in early seventeenth-century England’, Journal of the Royal Astronomical Society, 1990, 31) says that despite a scientific hagiography that has also built up around him “the plain fact [is] that his documented contributions to astronomy were formidable by any standard…he was one of the first men in England to grasp the significance of what was going on in contemporary European astronomy. 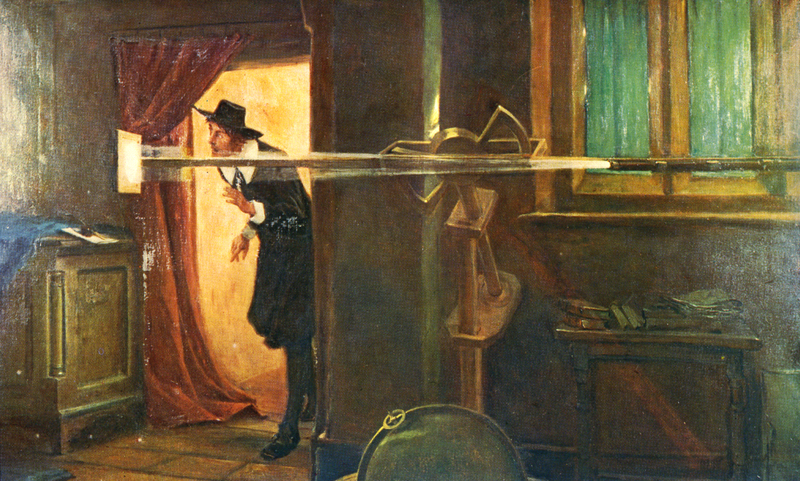 Not only did he repeat many of the techniques of Kepler and Galileo, but he went on to develop the New Astronomy to produce conclusions which substantially advanced those of its continental founders” (pp.33-334). 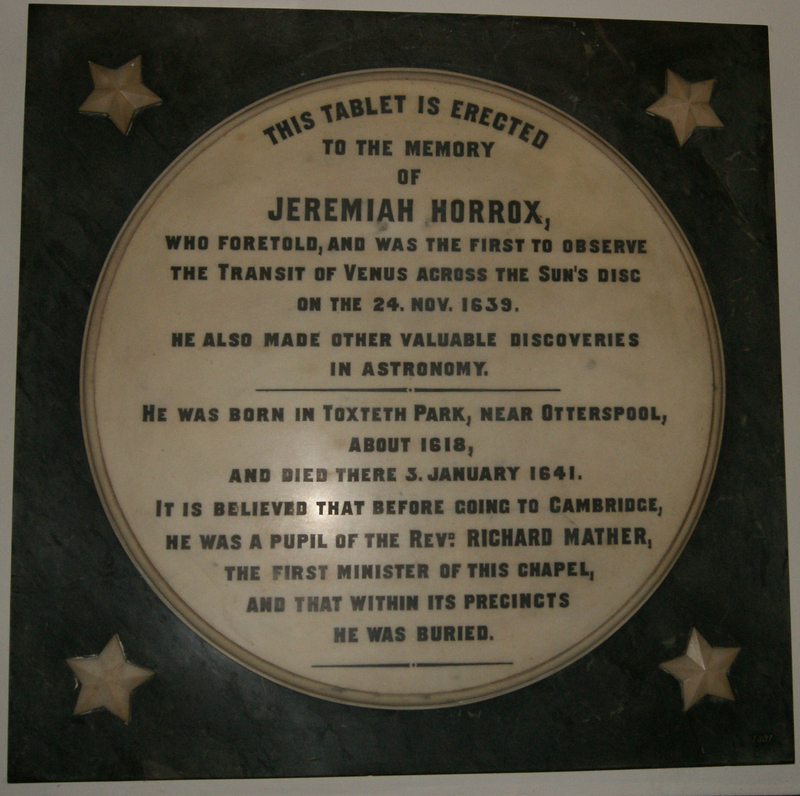 A plaque in the Ancient Chapel of Toxteth records that Jeremiah Horrocks (or Horrox) “foretold, and was the first to observe the transit of Venus across the Sun’s disc on the 24. Nov. 1639”. But the plaque, which was put up in 1891, is, in fact, only one of four church memorials to him around the country. Without doubt the best known of these is in Westminster Abbey erected opposite that of Isaac Newton (who had praised his work) in 1874 following a petition from the Council of the Royal Astronomical Society (actually inscribed on part of the marble monument to John Conduitt, who was married to the niece of Isaac Newton). Certainly the Abbey is a fitting place for a memorial to such a person. On it his scientific achievements are listed but it also states that he was “Curate of Hoole”. Now there is no doubt that Hoole is where Jeremiah Horrocks lived for a while and where he observed the transit of Venus. But there is no evidence that he was ever curate of Hoole, or indeed an ordained clergyman of any sort. The Victorians were not slow to extend or embellish their assessment of his religious affiliations. The church at Hoole has its own memorials too including a Horrocks Chapel, memorial windows, a weather vane and a plaque, although the website of St Michael’s Church, Hoole now describes the text of this plaque as “largely fictional”. Jeremiah Horrocks seems to have spent about a year in Hoole. Rather than being a curate or holding any position in the church he was probably a tutor to the children of a local family, in whose home he observed the transit of Venus. But there can be little doubt that he will have attended the church at Hoole while he was resident there. At the time there will have been little difference in the theological outlook of Hoole and the Ancient Chapel of Toxteth. Both were centres of Puritanism – comprising earnest, godly, and devout parishioners, in both places members being technically part of the Church of England (there was little leeway to be anything else at the time) but possessing a no-nonsense approach to faith and a fair degree of suspicion of ecclesiastical hierarchies. During his time there the church was still a just a chapel of ease and the curate (later rector) was eventually ejected for non-conformity. Although no records of Horrocks’ baptism or burial survive he seems both to have been born and died in Toxteth where his family names illustrate the Puritanism of his background. The names of Horrocks and Aspinwall (his mother’s maiden name) were amongst those puritan settlers who arrived in Toxteth in the late sixteenth century and began clearing the hunting park and built the chapel. They were part of the group who called Richard Mather to be first their schoolmaster and then their minister. The same Richard Mather was reluctant to accept Episcopal ordination. He eventually did so but was alarmed after being ordained (so the story goes) when the bishop approached him and asked to speak to him in confidence. Fearing that some admonishment was imminent he was surprised instead to hear the bishop say “I have an earnest request unto you, and you must not deny me; it is that you will pray for me; for I know that the prayers of men that fear God will avail much, and such an one I believe you to be.” Despite this unusual alleged exchange with the bishop he was eventually suspended for nonconformity and subsequently left with many of his followers for New England. It was probably here that Horrocks was educated and his religious opinions formed. From Toxteth he went to Emmanuel College, Cambridge as a sizar, basically the lowest form of student life, working as a college servant alongside his studies. He left without taking a degree but developed a passion for astronomy while there and was soon manufacturing his own astronomical instruments. Members of the Horrocks family, quite probably including his father, were watchmakers which must have been an assistance in developing precision instruments. But following his death on 3rd January 1641 two hundred and fifty years were to pass before the Ancient Chapel erected its own memorial in his memory. 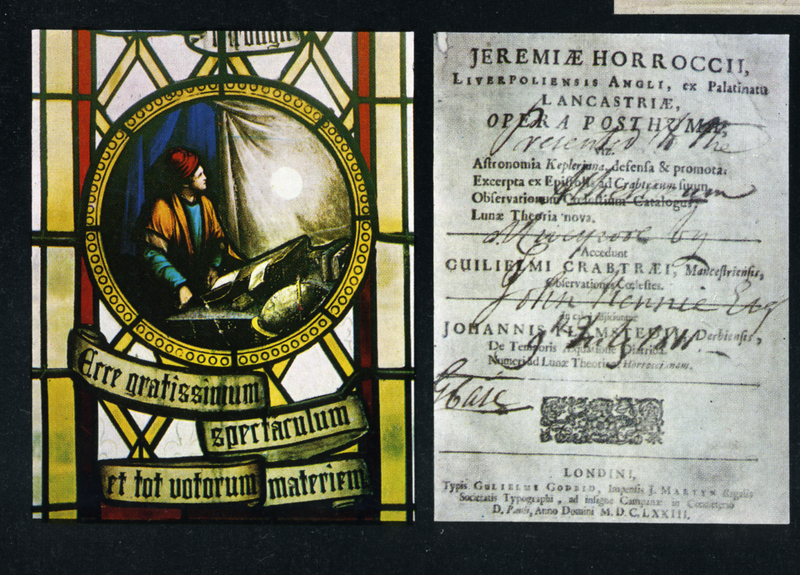 But this is not the only church memorial to Jeremiah Horrocks in Liverpool. 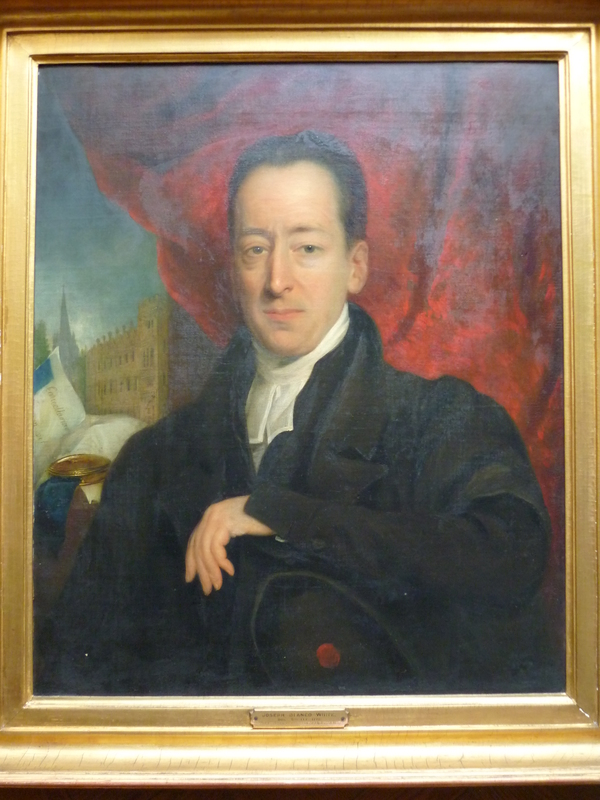 In 1826 Moses Holden, described by the Oxford Dictionary of National Biography as a “popular astronomer,” used the proceeds of one of his lectures to pay for the erection of a memorial tablet in St Michael’s in the Hamlet church in Aigburth, not far from the Ancient Chapel. It may well have been awareness of this tablet that encouraged the Unitarians to put up their own. Holden seems himself to have been a Methodist lay preacher but was on good terms with the established church. Nevertheless Jeremiah Horrocks can never have had any connection with St Michael’s in the Hamlet, since it was not founded until 1815. And God said, “Let there be light”; and there was light. I wonder how many Unitarian churches have their images engraved on the reverse of a coin? I only know of one example, it is not a particularly beautiful example of the medallist’s art but it is very interesting and tells an unusual tale. The church in question is Paradise Street Chapel in Liverpool, now long demolished, indeed the whole street has disappeared under the shopping development known today as Liverpool One. But Paradise Street was built in 1791 and was a dissenting church of some importance in Liverpool at the time. In the nineteenth century no less a person than James Martineau became the minister – a fitting appointment to a congregation that was cultured, wealthy and influential. They had built their meeting house on the grand scale, with a central cupola it was octagonal with a classical frontage and adorned with elegant stone urns along the balustrade. Martineau arrived in 1832 and established a name for himself as a preacher, teacher and philosopher linking up with other prominent figures in Liverpool and the north west including John Hamilton Thom, Charles Wicksteed, and John James Tayler. But partly through the changing environment around the old chapel, which had become more commercially orientated and less like an area the well-to-do might want to visit, and partly also because of the more devotional worship that Martineau introduced, the congregation felt a need to abandon their old church and build something new. 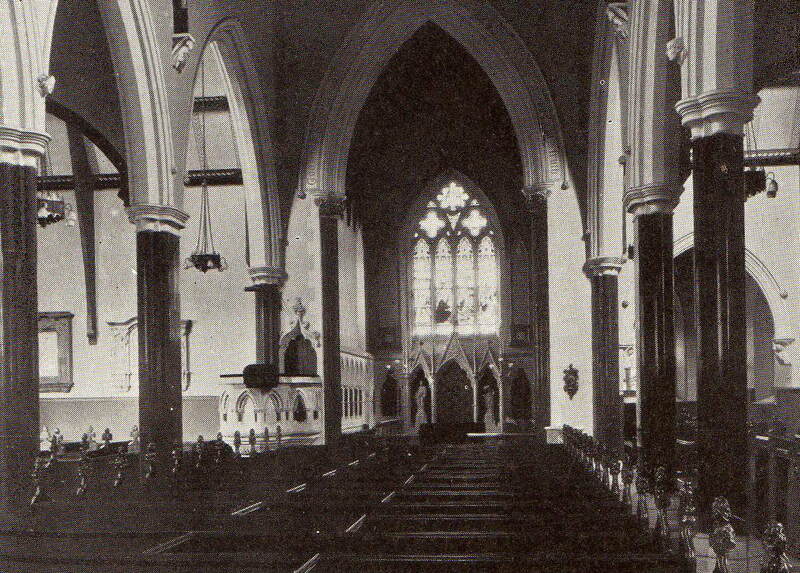 Accordingly a grand gothic church was built on Hope Street and Martineau and his congregation departed to their new home, selling the old place off. (For Hope Street Church see my earlier post – the Church on Hope Street). James Martineau and his congregation, perhaps out of financial necessity from building anew on an extravagant scale, showed little sentimentality in disposing of their old place of worship. Yet one can’t help suspecting that a man of such high-brow intellectual tastes as Martineau can hardly have approved of the new use to which the old chapel was now put. It was purchased by a man called Joseph Heath who intended to turn it into a music hall. …there was never any shortage of a skull during a performance of Hamlet. These were easily obtained, the artists’ dressing room, below the stage, formerly having been a grave vault, the artist had only to put his hand through an opening in the thin dividing wall, to seize hold of the grisly relic, as did Hamlet. 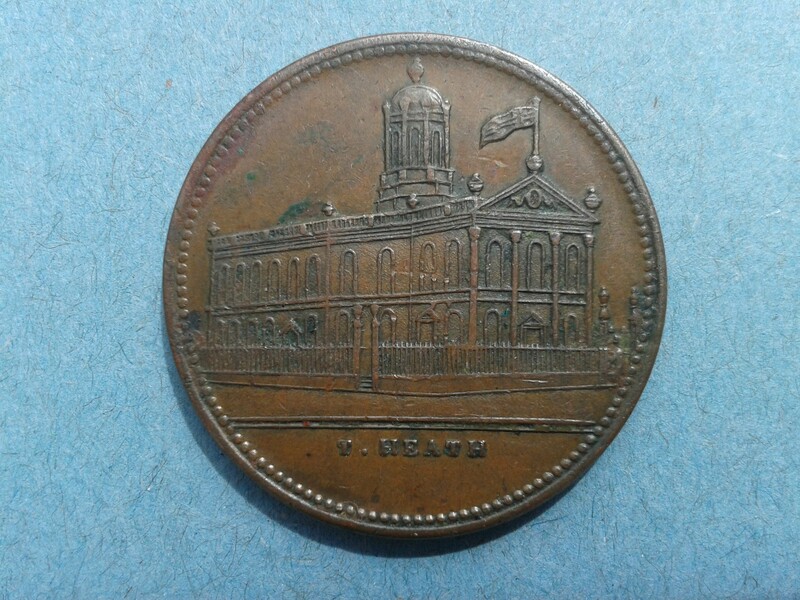 So it was the music hall owners who had the coin engraved with the unmistakable likeness of the Paradise Street Chapel. The Heath family owned the former chapel until about 1895 although it went through a number of refurbishments and changes of name in that time. But it remained known as the Royal Colosseum Theatre until 1875 at which time it was being run by Thomas Theodore Heath, Joseph’s son. Presumably this is the ‘T. Heath’ whose name is inscribed on the coin as the owner of the theatre. This would date the coin to the early 1870s when it functioned as an admission token for those eager for Victorian melodrama or the bawdy delights of an evening at the music hall. On the other side of the coin is a Liver bird, a belt and the name of the theatre. 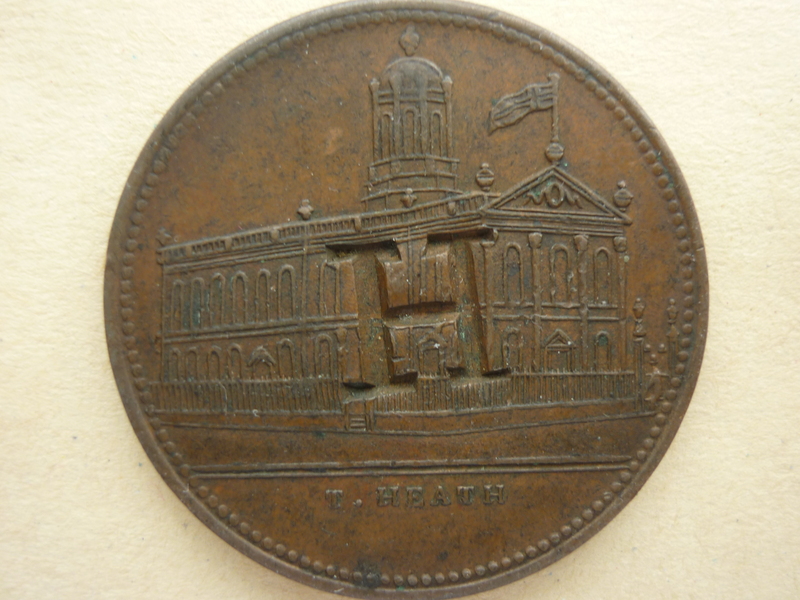 Some examples of the coins have a large letter ‘H’ stamped on them. I don’t know precisely what this indicated, at first I thought it was a reference to a seat or a row or an entrance but ‘H’ seems to be the only letter used in this way and it rather spoils the look of the engraving. Whatever meaning it had to the person at the theatre door this is now long forgotten. By the late 1870s the theatre was said to be able hold 3,000 people, and must have been returned to a single auditorium, but at this stage in its history it was struck by a terrible tragedy. On the night of 11th October 1878, during a performance before a full house, a portion of the ceiling fell onto the pit and caused panic amongst the audience. Thirty-seven people were killed in the crush to escape and many more injured. 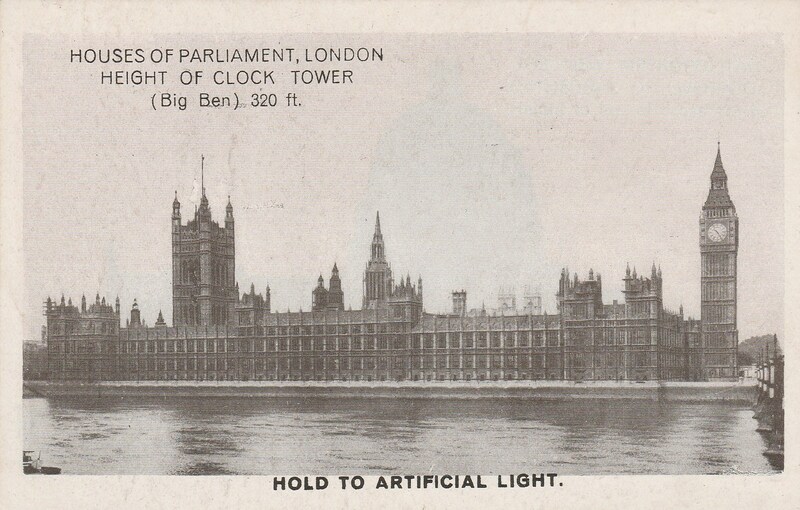 Pictures in the Illustrated London News at the time show a building that was already extensively remodelled from the one that appears on the back of the token but it had fallen victim to the sort of tragedy that was not unknown in Victorian Britain. Following this the theatre was rebuilt, frequently renamed and continued in use up to the First World War. By then known as Kelly’s Theatre, it finally closed its doors in October 1916 and was sold to Cooper’s Ltd who used it as a warehouse for their greengrocery and restaurant business. The whole story of Paradise Street Chapel and the Royal Colosseum Theatre was brought to a close by a German bomb during the blitz of 1941. Precisely how much of the building of 1791 had survived within the much enlarged edifice is hard to know but by then the building’s origins as a place of worship were hardly remembered. The link is maintained though by these little tokens which record a small element of theatre history and, almost by accident, help to preserve the image of a building that had a quite different history and purpose. 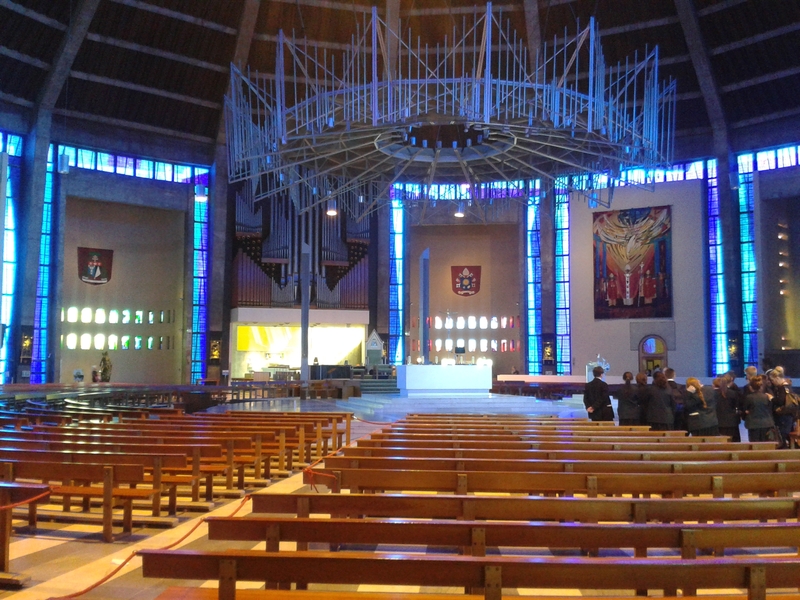 On a recent visit to Liverpool’s Metropolitan Cathedral I was struck by the beauty of the place – not quite for the first time – but on a profounder level than I had experienced before. It is a building of the 1960s in every way, with a lot of the problems that would be associated with such a building, especially one that was, in the end, built quickly and on a limited budget. But although the crypt was completed and remains part of the continuing cathedral the great romanesque building of Lutyens’ design could never be constructed after the war. Somewhere in the crypt there is a brick with my great grandmother’s name on, one of the thousands of faithful who made a contribution to build the northern cathedral in the 1920s and 1930s. But although I wasn’t an Anglican, in my youth it was the Church of England cathedral that played a bigger role in my life. We went there for school Founders’ Day, often a bit of a trial, especially when I was dragooned into the junior choir. I was also there for the Boys’ Brigade Liverpool battalion church parades. These I found much more enjoyable especially when I was a member of the colour party and got to process through the cathedral and sit in the choir stalls, learning along the way quite a bit about liturgy and the conduct of worship. But no visitor to the Anglican cathedral can fail to be impressed by its sheer grandeur, it is a breathtaking building. 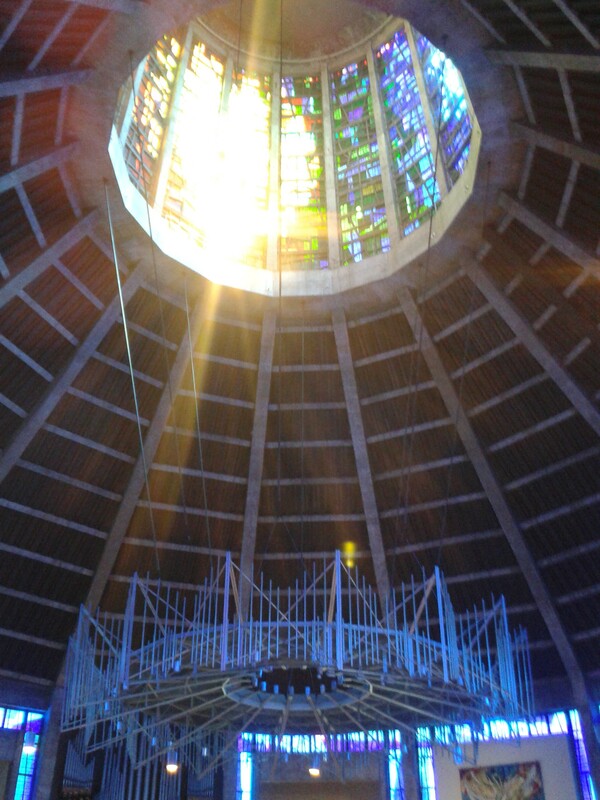 So I didn’t go to the Metropolitan Cathedral often and when I did it was reminiscent to me of the ‘space race’, of something very modern and a bit utilitarian. The bare concrete walls didn’t help in this regard. 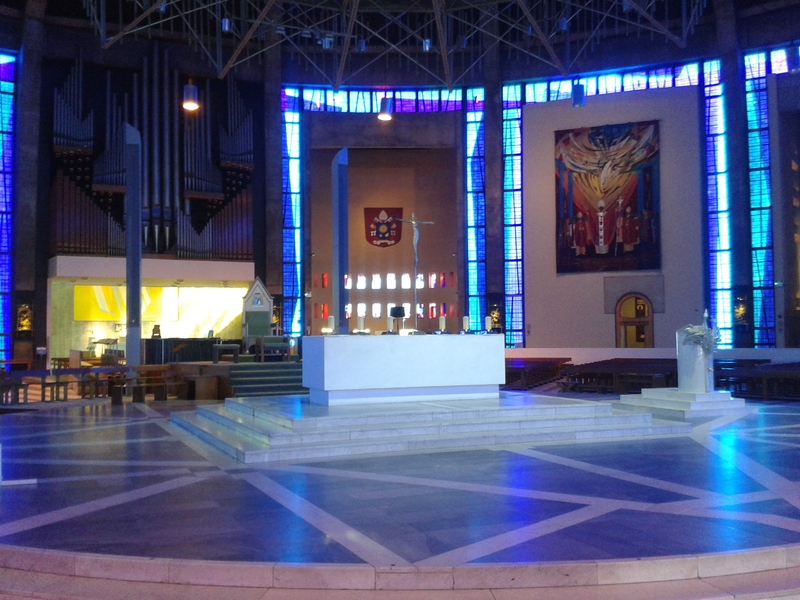 Coming straight after Vatican II its central altar and circular design is another typically sixties design which is fine if you like that sort of thing but I have never felt that worship in the round was necessarily the best way for any group of faithful people to gather. But if you go in the cathedral today, as I did recently, you are struck by a quiet, luminous beauty. The blue of the stained glass windows seems to fill the space with a peaceful, reflective sense. The bare walls are frequently covered by tapestries and different hangings which create interest and warmth and although, when I visited, there were a number of school parties being shown round, the atmosphere of peace and worship was never interrupted. This I think is testimony to the skill of the guides and the attentiveness of the school pupils. The circular space has one great advantage in that if you walk around you discover a truly meditative experience. Indeed I felt so enthralled that I walked round twice and would happily have continued in my perambulations if other matters had not called upon my attention. The light seemed to flood in from the lantern on this particular sunny day and infused the building with a sense of the numinous. It made me glad that I had gone in. There is a great deal of art to view. Again much of it very redolent of the 1960s but there’s nothing wrong with that. Not all of it can appeal to everyone but some of it struck me on that day as impressive, Robert Brumby’s terracotta statue of the Virgin and Child seems to fill the corner of the Lady Chapel very appropriately, for instance. But leaving the cathedral on this sunny day I had to go and look again at the site of Hope Street Church. This building is now long gone, just one of a number of sometimes quite grand churches that once featured on these surrounding streets, it has to be said. You can read about Hope Street Church in a previous post. 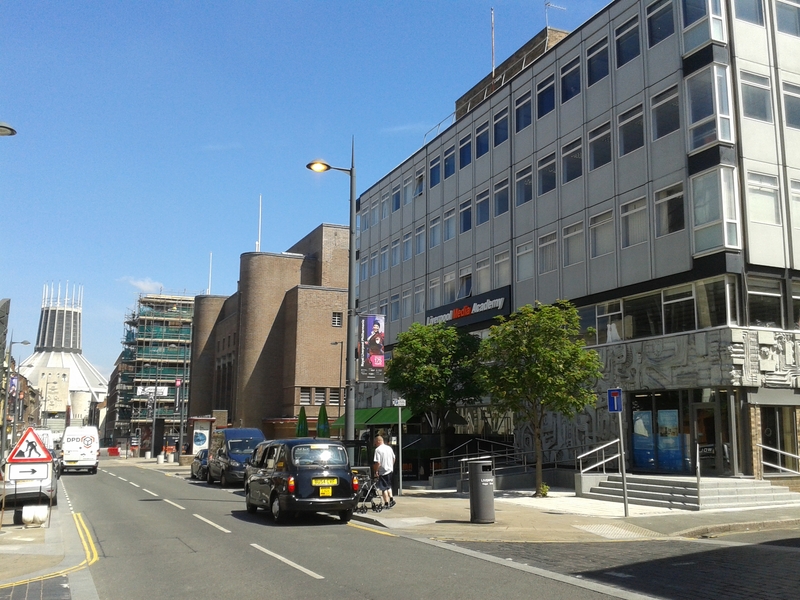 But the building on the right of the picture now called the Liverpool Media Academy, right next to the Philharmonic Hall, was once the site of James Martineau’s Church. The view from outside now looks along Hope Street to the modern cathedral opened in 1967. I have sometimes been tempted to write a blog or a column entitled ‘The things I buy on eBay’. I have picked up lots of pieces of ephemera at very low cost on eBay which while certainly bearing very little intrinsic value and generally falling into the category of junk nevertheless have some historical interest. The photograph above is a good example of this. 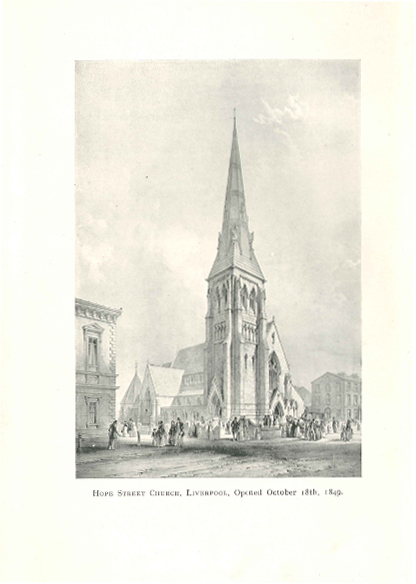 It cost just 99p (which I suppose is actually quite a lot for a single, slightly blurry print) but it shows the very end of Hope Street Unitarian Church in Liverpool. 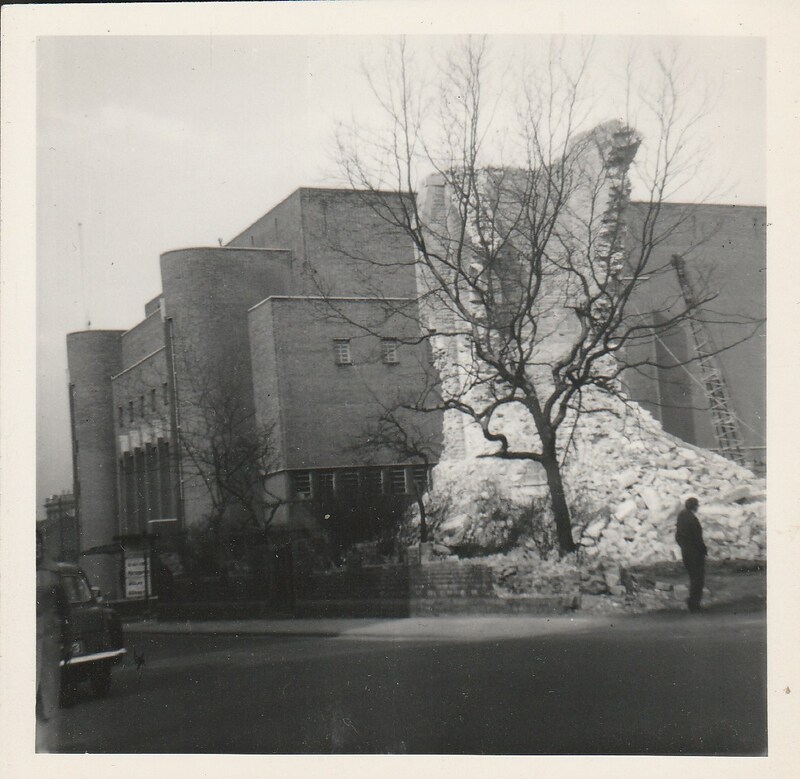 Taken in 1962, probably by someone who habitually recorded views of buildings which he thought might one day be interesting, it catches the tower in the final stage of demolition. Somewhere under the rubble was a brass plate and a “hermetically sealed vase” containing a list of members, ground plans of the old and new chapels, a report of the congregation’s school, a plan of Liverpool, a print of the Dissenters’ Chapels Act, an engraved portrait of the minister and all the local papers from the week before the laying of the foundation stone on 9th May 1848. It was a sad end to a building that was opened for worship in 1849 and which occupied a prominent place in the city. Indeed it seems a shame that such a site, midway between the two cathedrals, could not have been saved for future use. It would be a great site today with enormous potential. But it is easy to be wise after the event, the world must have looked quite different to what was presumably a small and discouraged congregation by the early 1960s. 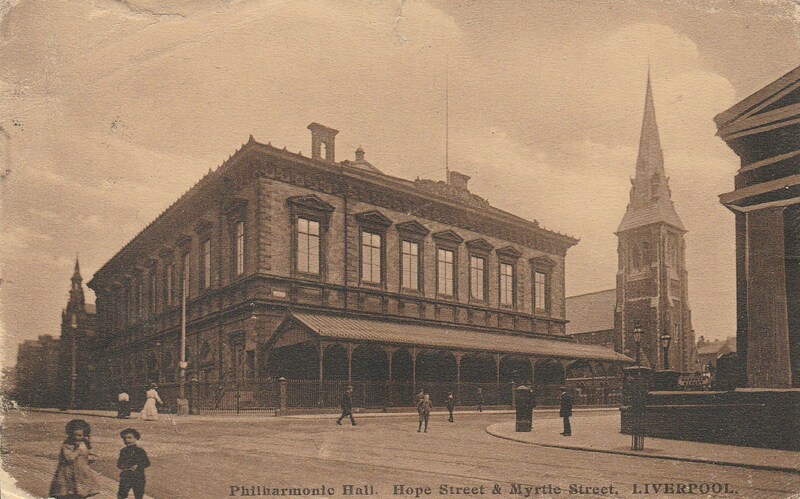 Its relationship to the next-door Philharmonic Hall can be seen from this Edwardian postcard. The original Philharmonic burnt down in the 1930s and was replaced by the present building in 1939. In the picture the classical church opposite, the corner of which can just be seen on the right of the postcard, was the Church for the Blind, attached to the Liverpool School for the Blind which was situated on Hardman Street. Nothing really remains of Hope Street Church today. Photographs of the interior are intriguing. This scan isn’t great but it shows the view looking towards the pulpit, the chancel and the font. After James Martineau and before the First World War the congregation had some high profile ministers including Charles Wicksteed, Alexander Gordon and Richard Acland Armstrong. The 1920s saw a revival of fortunes under the radical ministry of Stanley A. Mellor who mixed an advanced theology with Socialist ideas. But the crowds that came out to hear him did not last and by the time of the eccentric ministry of the highly scholarly Sidney Spencer the numbers were starting to reduce. I reflect with pleasure on my childhood and early manhood, when I frequently accompanied my father to the morning and evening services. He had a wide interest in almost every religious creed. In latter years he reminded me of a character in Shaw’s Major Barbara who declared that he had studied several religions and found that he would be perfectly at home in any one of them. Having been born into a Scots Presbyterian household, he was attracted by the preaching of Dr Charles Aked, the charismatic minister of the then Pembroke Baptist Chapel in Liverpool, where he met my mother, whom he married in 1911. After the departure of Dr Aked for the United States (to what was known as ‘The Millionaires’ Church’ on 5th Avenue), my parents transferred their allegiance to Hope Street Unitarian Church to enjoy the benefits of the preaching of the Reverend Stanley Mellor. Following his death, they continued to attend Hope Street church throughout the ministry of the Reverend Sidney Spencer, I do not think my mother took any interest in the details of religious faiths, but was content to fulfil what she regarded as a spiritual duty by attendance at a church on a Sunday. It is perhaps not surprising that the idea of a free religious faith always appealed to me. It gave me great pleasure to follow in my father’s footsteps as chairman of the Hope Street Committee, which awakened in me the desire to enter a calling where I could participate in the cut and thrust of debate, and to promote harmony where there has been discord. It has therefore been a source of satisfaction to me to find that Hope Street had its origins on the site of what is now The Queen Elizabeth II Law Courts, where I have spent the greater part of my professional life. When the buildings were opened by Queen Elizabeth II, I happened to be one of the longest standing circuit judges of the court and had the honour of being presented to Her Majesty. Whilst waiting for the ceremony I was placed in a line of those about to be presented immediately between the Anglican Bishop of Liverpool on one side and the Catholic Archbishop of Liverpool on the other. I regret I didn’t have the courage or the time to remind these prelates that I felt like the wonderful white church that once stood half way between the Anglican and Catholic cathedrals in Hope Street. When I was a child services at Hope Street were almost as well attended as the Hope Hall Cinema (now the Everyman Theatre) down the road, and in order to secure two seats together my father was obliged to apply to the Church Secretary, Mr William Letcher. There was an interval of several weeks before a reply was received notifying my father that two places had been reserved for himself and my mother, and on the following Sunday they were met in the vestibule by Mr Letcher to be escorted past the queue waiting to be seated and down the aisle to a pew four rows from the front, on the back of which was a card bearing their names. This remained what we regarded as our family pew until the church was demolished several decades later. William Letcher remains in my memory as a formidable figure, well-suited to the task of controlling the crowds at Hope Street. He was, I believe, employed by one of Liverpool’s principle banks, in charge of the Stationary Department. As a small boy he appeared to me as a person of enormous power and influence. Whatever it meant for the Trinity to be present in one person, it seemed to me that person might as well be Mr William Letcher. He was highly thought of, and in due course enjoyed the distinction of becoming the subject of a light-hearted song, composed by my father and another member of the congregation, which recommended a variety of facetious changes to forms of worship, each one punctuated by the refrain: “But Will `e Letch `ya?” The authors sang it at a Christmas party. Another innovation of my father’s as Chairman was the collection of “bun pennies`”. These were coins dating from the early days of the reign of Queen Victoria on which the monarch’s head appeared with hair drawn back in a bun, still current in the inter-war years but invariably worn very smooth. My father encouraged members of the congregation to deposit any they found in their possession in a wooden casket he had placed on the window-ledge of the church vestibule, similar to those designed for holding ashes with an incision made in the top and inscribed with the words: “The Hope Street Church Ancient Victorian Secret Society”. To what objects the fund accumulated therein was applied remains uncertain to this day. The only photograph of the church I recall seeing was taken by a photographer from the Liverpool Daily Post and showed the spire wrapped in smoke. It dated from an evening on which my father had had to move a Committee Meeting from the Library to the Church Hall, and eventually – very reluctantly – to adjourn with business unfinished, because the premises had become unbearably hot. The neighbouring Philharmonic Hall was on fire. My father had a print framed and hung in the church to illustrate the perils to which the members of the Committee were prepared to subject themselves in pursuance of their duties. Hope Street Church also survived the blitz a few years later. It may be that the enemy found the white spire of that Unitarian stronghold a useful pointer to the Liverpool docks and to the Cammell Laird shipyards and it took care to spare it. Be that as it may, incendiary bombs were such a menace that the government required all males over a certain age to register for fire-watching duties. The minister of Hope Street, the Reverend Sidney Spencer, an ardent pacifist, had no hesitation in fire-watching at his own church or anywhere else, but objected to doing so under compulsion of the State. He refused to register. The magistrates fined him £10 which he steadfastly refused to pay. In due course, he was sent to prison for a term of 14 days. The minister (an admirer of Mahatma Gandhi) was adamant that he did not wish the fine to be paid, but after a few days the Committee felt that he had made his point, and that somehow the fine should be paid anonymously. It was decided that, as a law student with access via the Magistrates’ Entrance to the courts on Dale Street, the Chairman’s son was best able to make the payment without drawing attention to himself. This I did. The first clerk I approached hesitated: “But Mr Spencer has said he doesn’t want this fine paid. I don’t think I can take it.” “If anyone offers us money – we take it!” declared his senior. A few hours later, the Reverend Sidney Spencer was a free man. My father reimbursed me, from what source I do not know. 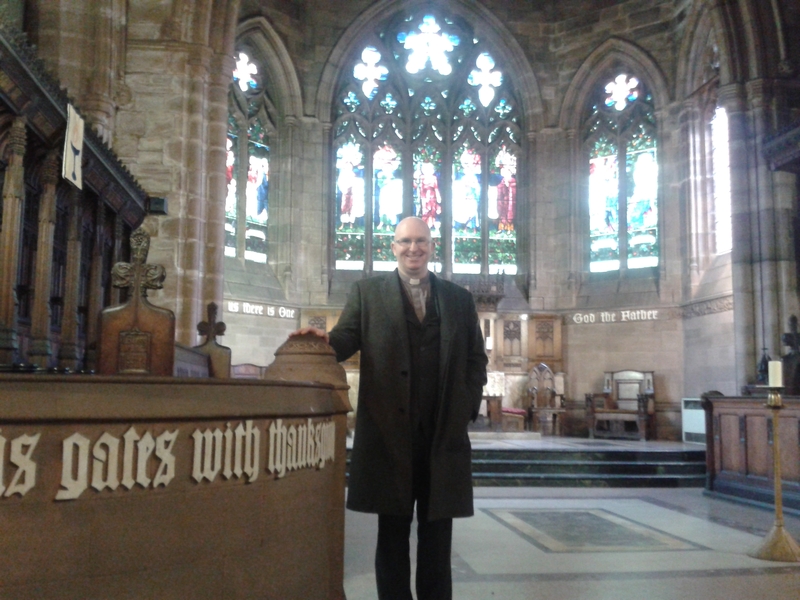 Possibly he unlocked the coffer of the Hope Street Church Ancient Victorian Secret Society! 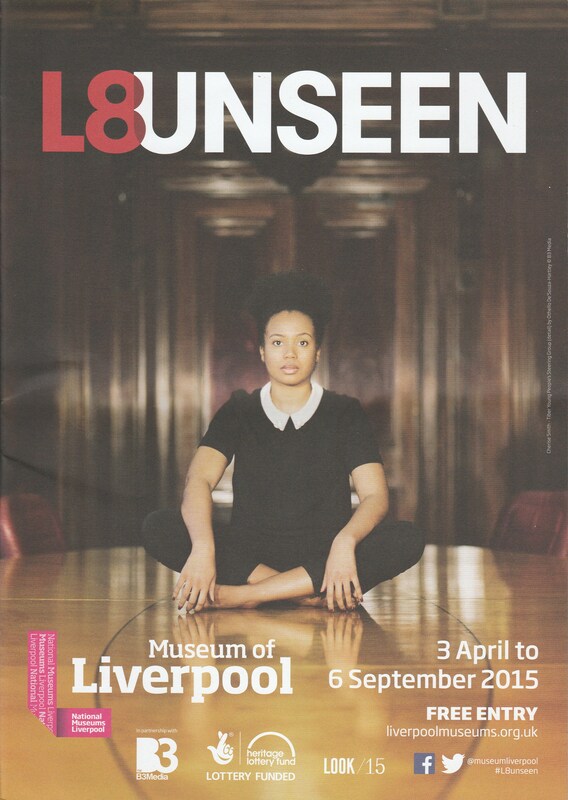 L8 Unseen runs at the Museum of Liverpool from 3 April to 6 September. It is a collection of striking images taken by photographer Othello de’Souza-Hartley. The pictures are all blown up to a large scale and rich in detail. Each one features someone or some group of people who live in Liverpool 8 pictured inside a building that reflects the history of Liverpool. The poster used to advertise the exhibition, and reproduced above for instance, shows Cherise Smith of the Tiber Young People’s Steering Group in the boardroom of the Liver Building. There are also interactive elements in the exhibition in which you can listen to personal stories and send in your own photographs to add to the story. This has been incredibly successful and over 2,500 people have sent in their own photographs in the first weeks of the exhibition. The blurb for the exhibition declares that “Liverpool 8 is a state of mind, an idea, a culture, rather than just a geographical location”. This identity is based upon diversity, something that is rooted in Liverpool’s development from the eighteenth century onwards as a major seaport that brought so many peoples and cultures to its streets. But in this also lies the downside – Liverpool’s prosperity was based, from the opening of its first dock in the early eighteenth century until 1807, on the slave trade and so the exhibition notes that many of the places used “were founded on the proceeds of the city’s international trading links and the slave trade.” This is undoubtedly true – even for buildings like the Liver Building, built as late as the twentieth century – for without that era of massive expansion when Liverpool became the pre-eminent slave ship port the continued advancement of the Victorian era and later would not have happened. This reprehensible trade carried on by so many people in Liverpool for a hundred years brought tremendous riches and provided the backbone of the city’s prosperity. So the buildings used include the Town Hall, The Black-E arts centre (which was once Great George Street Congregational Church), the Liver Building, a house in Abercomby Square, dock buildings, the Athenaeum Club and other places. There is no getting away from the fact that virtually the whole city was effectively complicit in a vicious trade but I can’t help feeling that somewhere like the Athenaeum perhaps indicates a slightly different attitude, after all it included amongst its founding members William Roscoe and his circle, people who opposed the slave trade from the start and were eventually successful in getting it stopped. We shouldn’t overlook the courage of people like Roscoe who stood out against the prevailing orthodoxy at the time. My favourite photograph shows four religious leaders from places of worship in Liverpool 8, generally from near the top of Princes Avenue. Seated around a table in the Town Hall are representatives of the Al Taiseer Mosque, Princes Road Synagogue. St Nicholas Greek Orthodox Church and St Margaret’s Church of England, all resplendent in liturgical garb. One hopes that this gathering represents some sort of on-going dialogue between the different faiths rather than just a gathering for a photo opportunity. At least two of the religious buildings that they represent are amongst the grandest and most impressive buildings in the city and Liverpool, of course, had the first mosque ever built in England. What a shame the nearby Welsh Presbyterian Church, itself something of a mini-cathedral, is now gone, then they could have had a sober Presbyterian in preaching bands and black cassock join the group too. But the building has been derelict for years and the original congregation left in the 1970s. That illustrates one aspect of diversity which has almost entirely disappeared in Liverpool. When I was young the city was dotted with Welsh speaking churches, now I think just one small chapel remains. Sad to note the disappearance of this group, although even in Wales the types of churches that they comprised are nowhere near as prevalent as they once were. In September of 2014 we launched – in fine style, it must be said, in the impressive surroundings of the Liverpool Athenaeum, thanks to Philip Waldron – the book Liverpool Unitarians: Faith and Action. Essays exploring the lives and contributions to society of notable figures in Liverpool Unitarian history. Published by the Merseyside District Missionary Association it should also be added that the District took to the role of publisher with great aplomb – not necessarily the most usual role for any church administrative body. The book is available in many book shops and museums in Liverpool as well as online from the District and via Amazon. Liverpool Unitarians was a long time in preparation but I think is a better book for the extra time spent on its production. 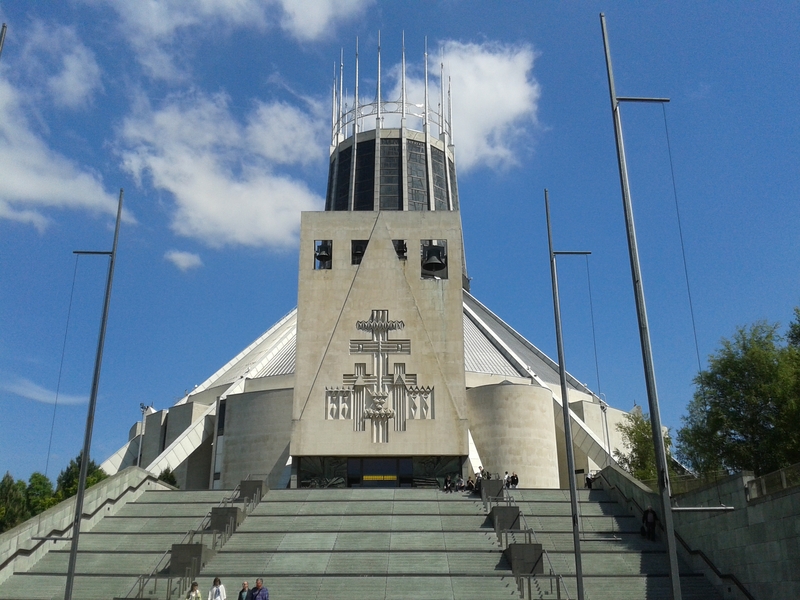 All the contributors have some connection with Merseyside Unitarianism and all write about different aspects of the contribution made by members of this household of faith to wider society over the centuries. It was particularly pleasing to see Len Mooney’s contributions published in the book in light of Len’s sad death just a few months later. Someone who had been a devoted member of Ullet Road Church for many decades Len was a thoughtful and wise person whose gifts shine through in his chapters published here. The book has a full colour cover designed by Alison Steers which incorporates ‘The Triumph of Truth’, the central detail from the library ceiling of Ullet Road Church, painted by Gerald Moira; the Good Samaritan Window at Gateacre Chapel, which was erected in memory of Sir Henry Tate; a bronze representation of the James, (the ship on which Richard Mather and the local puritans sailed to Massachusetts in 1635) made in 1934 for the hall door at the Ancient Chapel of Toxteth; the front elevation of Ullet Road Church built in 1899; and detail of the Liverpool Town Plan of 1725 by J. Chadwick. 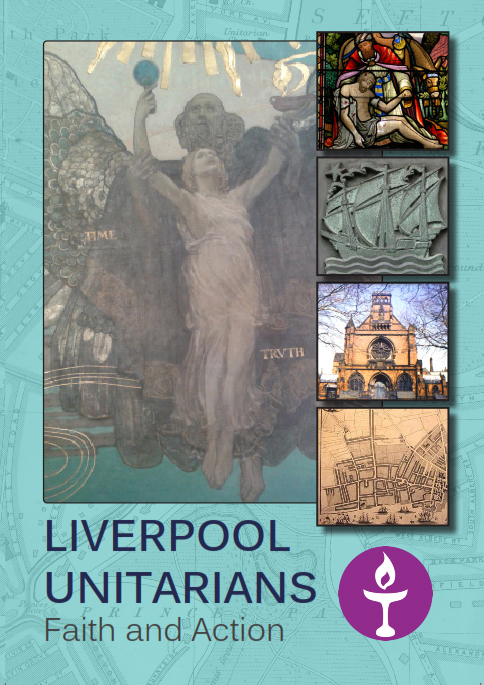 The book also contains more than fifty illustrations, many of them never before published, and all of them helping to tell the story of Liverpool Unitarianism. Some of the stories told in the book are well known, others are not so familiar to the general reader, yet others break entirely new ground – Bernard Cliffe’s analysis of the memorials and graves in the Ancient Chapel is a first, as is his examination of the chapel’s visitors’ book. This book is not intended to be hagiography but it does try to outline how one group of people – members of a particular faith community with deep historical roots but with an aversion to fixed creeds – were inspired to serve their fellows in different ways. Their legacy can be seen all over the city – in its parks, in its monuments, in the university, in hospitals, in education, in art galleries and museums – and it exists in the long and continuing struggle to create a society that gives equality and opportunity to all its citizens. It is not meant to be an exhaustive account of all the eminent members of the churches and chapels in the region. Readers will notice that the names mentioned are part of wider connections of family and business which includes many others who could be included. There are other figures who could be the subject of such biographical accounts. But this is a selection of some of those who have followed the call of faith to be of service to wider society. It is pleasing also to report positive reviews in various publications. readers of this book will come to the conclusion that Unitarianism has not been just a faith of the mind but one of action as well. Some people like collecting things, other people discard anything that has no practical usefulness. For some collecting is a bug and whether it is stickers containing the likenesses of premiership footballers or paintings by Picasso costing millions of pounds or anything in between there is no shortage of those who, in the search for completeness or because of a desire to own something rare or unique, will buy things, sometimes at any price. While the artistic merit of a Picasso may (or may not) be appreciated by all and sundry the wonders of a sticker book containing all the footballers of the 1970 World Cup, for instance, will appeal only to the cognoscenti. But little things, small objects, printed ephemera and all the material that so many people would condemn as junk do tell a story, they can be interesting and open up another view of the world and who we are. The picture above is a cigarette card. Starting before the end of the nineteenth century these became keenly collected, often by children and no doubt they helped to introduce new generations to smoking. They faded away in the 1950s and wouldn’t be allowed now, but old sets are still collected, early and rare examples attracting high prices of over £1,000 per card. Some of the early series are very informative, and others are very attractive in their design. But this card, once given away free and now worth a couple of pounds, is both a symbol of the early development of the modern cult of celebrity and an illustration of how important non-conformist churches were 100 years ago. And white are the blossoms on’t in our kail-yard. J.M Barrie (the author of Peter Pan) was the most notable of this group but MacLaren’s books sold in Britain and America in their tens of thousands, indeed some are still in print today although read by a fairly specialised audience. But MacLaren’s fame as an author was closely bound up with his career as a Presbyterian minister. 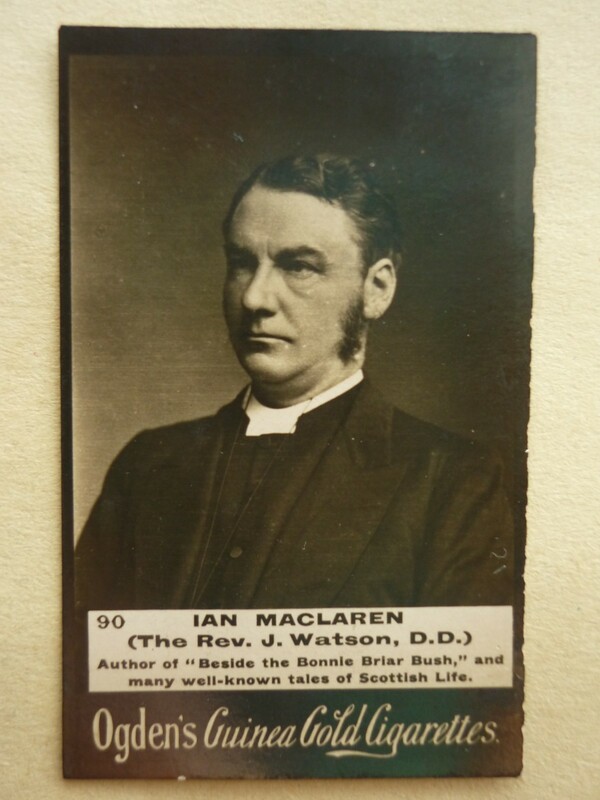 Ian MacLaren was a pseudonym and as John Watson he ministered to the Presbyterian Church in Sefton Park, Liverpool for 25 years with great success, from 1880 to 1905. He assembled an enormous congregation, those who held seats in his church had to be in place half an hour before the service began or else their seats would be given to visitors who queued up outside. Developing out of his ministry he became the most popular writer on theological topics of his day, certainly from within the non-conformist churches. His theology was quite liberal and at one point he was threatened with a charge of heresy from within his denomination (the Presbyterian Church of England). He was certainly liberal enough for the Rev John Hamilton Thom to complain about the removal of the Renshaw Street Unitarian congregation to Ullet Road – a location very close to Ian MacLaren’s church. He claimed that a number of Unitarians had already joined his church without changing their theology and that a move to the suburbs might result in further drift away to hear such a successful preacher. But above everything else John Watson was the most prominent of all the Presbyterian Church of England ministers of his day. He assisted in the establishment of the University of Liverpool (which brought him into the orbit of many Unitarians) and his leadership and fundraising exertions resulted in the establishment of Westminster College, Cambridge in 1899, which became the main Presbyterian theological college. The following year he was moderator of his church. Invited to tour the United States and lecture in Yale University and other places his theological publications also became best sellers and his influence spread far and wide within the churches. And so famous was he that when Ogden’s produced a new series of ‘Famous People’ Cigarette Cards in about 1905, a set that possibly included actors, actresses, generals, politicians, sportsmen and writers they couldn’t leave out John Watson/Ian MacLaren. It was all part of the level of fame he had achieved in his day and age and so his portrait, in his clerical collar, was printed to go inside packs of Ogden’s Guinea Gold Cigarettes and no doubt eagerly sought by those anxious for the full set. It is hard to imagine what the exact equivalent would be in today’s celebrity terms but we can be pretty certain that no member of the clergy, not even the Archbishop of Canterbury, could expect to reach such a dizzy height.